Welcome to the Rennefarre by Malve Von Hassell blog tour, which is put on by Tribute Books. I'm hosting todays stop, which is packed full of awesomeness of course. The author wrote up a guest post for my stop along with a Q&A. After you find out all about the author and her book you can enter for a chance to win an e-book copy of Rennefarre! I hope you all enjoy the post and giveaway! 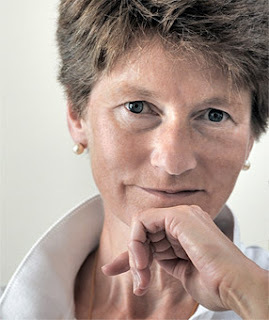 Here is a big warm welcome to Malve Von Hassell and her book Rennefarre. When rereading Rennefarre as an adult, I began to appreciate the amount of research Tamara Ramsay must have engaged in. 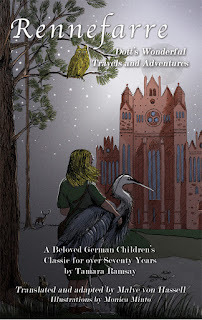 Alongside an emotionally compelling story of a girl’s attempt to return home to her family, the book offers a wealth of factual detail, vivid descriptions of geography, plant, and animal life, a rich fabric of history and historical figures, and a colorful tapestry of legends and myths, doubly attractive for being rooted in concrete places and events. For instance, the legendary Frau Harke, protector of nature and animals, appears today in the name of a mountain in Lower Saxony, and she is still celebrated in some local traditions. I searched for information about the plants that Tamara Ramsay mentions and discovered that these plants are not imaginary, but rather real plants that have potent properties and feature in homeopathic and folk remedies. Hence, the Springwurzel, given by the giant spirit Rübezahl to Dott as a remedy for her little sister, is the caper spurge. The caper spurge (euphorbia lathyris) has been used as an anti-inflammatory agent and to treat a variety of medical conditions, including rheumatoid arthritis. In one of my favorite scenes in the book, Dott and her friend Klaus spend an evening in the cemetery of the church St. Anna in a town called Rosenberg. Today, this town is called Olesno, and it is in Poland. The children, who had been conflicted about their journey, are transported into a moment in deep winter. The children watch pilgrims from all over the county travel to the church for a service. The first wave of pilgrims consists of animals, among others, horses from the mines in Silesia, bent and blind from their labors. Men, women and children dressed in their finest follow. The children watch this procession and decide to go along; and the experience helps them to resolve some of their doubts. When I researched St. Anna, I found that this church had indeed been the site of regular pilgrimages since the 15th century. In another scene, Dott encounters the bridge builder Matteo Foccio, thought to have built the first stone bridge in Dresden in the 13th century. Matteo Foccio shows Dott a sculpture in one of the pillars of the bridge, claiming that it was his self-portrait and that he carved it himself. I was able to track this down and verify that until 1813, one of the original pillars of the Augustus Bridge featured a stone relief sculpture of a man in a sitting position and dressed in the style of the period. According to local lore, it was a portrait of the Italian architect Matteo Foccio. The bridge was dynamited in 1813 and rebuilt; the figure was lost in the process. This is one of many such instances in the book where Dott’s personal story is linked in seemingly effortless fashion with real history as well as the shifting ground in the way in which we experience and rethink history. A: The first English edition of Rennefarre is the culmination of a dream of mine—a perfect storm of things that I love: a wonderful original text, the challenge of translation, the thrill of research, and the joy of assembling everything into a finished product. I am excited that it is now in print and available to an English reading audience. A: I have loved Rennefarre since I was a child. I read it over and over, fascinated and charmed by the adventures of Dott, the main character—described in such a tangible and immediate fashion. I loved the voices of the animals that Dott encounters. The descriptions and scenes are so real that it is easy to imagine oneself following along in Dott’s footsteps. Dott, impulsive, stubborn, and passionate, was real and believable to me as a child. As an adult returning to this book, I decided that it was a treasure that should be made available to English readers. A: The cover depicts a scene in the book where Dott seeks out a place to sleep for the night. When she stands in front of this building, she feels very much alone and is grateful for the company of Ardea, the young heron next to her. She ends up sleeping in the abbey, sheltered and kept warm by the heron’s wing. The image conveys many elements of the story, the thrill of discovery, the charm of nature, a multi-layered and complex history, the importance of friendship, and the feeling of being alone. A: This is a new and exciting experience for me, and the learning curve is sharp. It is my first venture into making use of Facebook and other social media for marketing. I look forward to discussing details of the book on blogs. I will attend an authors and illustrators event at a school in my town in March 2013. A: This is not an easy question to answer. Two books, also translated, come to mind. One is Michael Ende’s Neverending Story. Like Rennefarre, this book involves the element of a quest and the search for home, but unlike Rennefarre, it is set entirely within the world of fantasy. Selma Lagerlöf’s Nils Holgersson and the Wild Geese involves a similar storyline of a child that travels with animals and seeks to return home; however, it was written for a much younger audience. The Magic Tree House series by Mary Pope Osborne has some interesting parallels. These books feature children who are magically transposed into different periods and places in the world as a result of which they are given brief glimpses into history and myths. Meanwhile, the books are addressed to a younger audience and ultimately consist of many disparate fragments or glimpses of the world of history and legends. 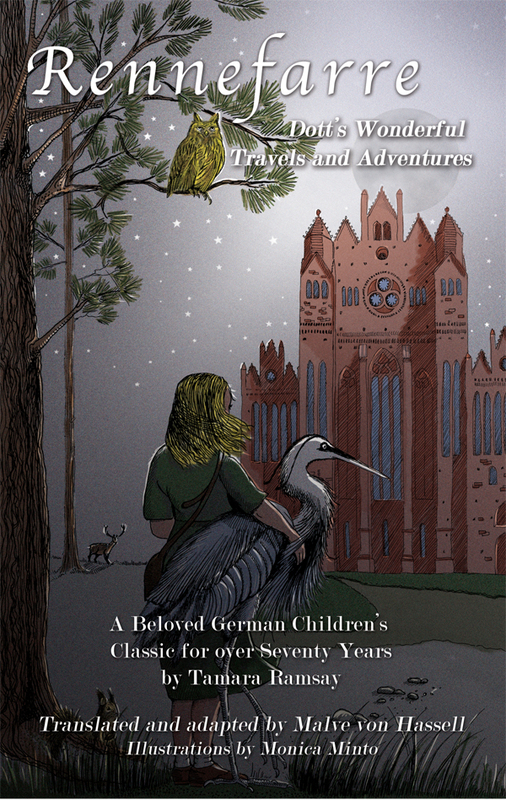 Rennefarre, perched on the fluid fault lines between history and legend and interwoven with elements of magic and fantasy, meanwhile presents a single story of a child’s journey with an overarching central theme of human responsibility and choices. A: Regrettably, I would have to admit to an unfortunate tendency to writing long convoluted sentences. Even though I have lived in this country since I was thirteen and have worked as a translator for over two decades, the German language has a way of creeping up in my writing. There is a lovely word in German, “Schachtelsatz”, which describes a sentence consisting of boxes within boxes within boxes of meaning. The polar opposite is the standard of short succinct sentences favored by many writers, including those trained in American schools of journalism, among others. I try to steer somewhere in the middle of these sirens of style. A: Page 45: In this scene, Dott tries to fulfill a quest with which she had been entrusted. She wants to free an owl that had been captured by humans in order to serve as a decoy. Dott sits in front of the cage where the owl is being held and waits for daylight. Two other animals, the owl’s mate and a squirrel, are watching and waiting to see how Dott will manage to free the owl. The owl looks sick and apathetic. Dott is appalled by the suffering of this bird in captivity and feels ashamed as a human being. A: I have completed a manuscript of historical fiction for young adults entitled Falconello. It is set in the 13th century and involves the journey of a young man from the north of Germany to Italy. I am now working on another historical fiction work set in Jerusalem in the 12th century. Q:Tell us what you’re reading at the moment and what you think of it. A:Aside from rereading Jane Austen’s Pride and Prejudice whenever I am in the need of balance, I always have a stack of books that I check out of my local library. The latest gem has been a book by Helen Dunmore, The Siege, about the siege of the city of Leningrad in World War II. It is a book hard to forget; the relentless cold and the gnawing hunger seep into your bones as you read it, and at the same time, Dunmore captures something exquisite and beautiful about the human spirit. Use the rafflecopter form below to enter to win an e-book (PDF) copy of Rennefarre by Malve Von Hassell.